If Martin Scorsese had his way, you’d be able to see the punches in Goodfellas coming right at you. At a CinemaCon panel on Wednesday, the director said that if 3D technology had been invented decades ago, he would have shot most of his post-Raging Bull films in the new format. Thankfully, he isn’t George Lucas, or he’d be digitally altering the film already. Though Scorsese says there are certain films he’d still shoot in 2D, such as his 1977 musical New York, New York, he would update The Departed, The Aviator, Bringing Out the Dead, and even Taxi Driver. 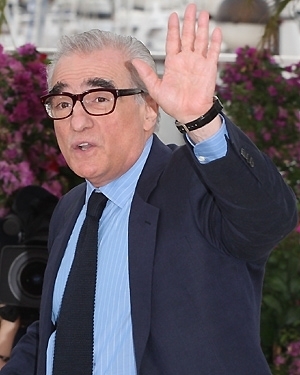 “I think you have to accept it as just another part of storytelling,” Scorsese said of 3D. It’s easy to see why Scorsese is so enamored with the technology. His film Hugo looked beautiful in the format, and it earned him an Oscar nomination. While we’re lucky to have gifted directors like Scorsese and James Cameron pushing the art form forward, the technology still isn’t at the point where every film needs to be 3D. As good as these films look, there’s still the problem of the bulky, ill-fitting glasses. Just as Steve Jobs figured out that touch screen phones wouldn’t hit it big until we found a way to use our finger as a stylus, we need an innovator to overcome the current limitations on no-glasses 3D. Until then, we’d prefer to see great storytelling without having to look through popcorn butter-smeared lenses. Is David Fincher the New Martin Scorsese?